“Yalla, go!” ordered an Egyptian girl behind me, pushing me into the security line mob. Just 20 minutes before departure, the gate for a direct TunisAir flight from Cairo to Tunis opened, setting off a scramble of people trying to finish the security process so they could board the plane and claim all of the empty window seats, including mine. The assigned seat rule is something most Egyptians merely take as a suggestion. Thinking back now on this experience, I should have been scared. This was not a proper security check. After two years living in Egypt and working at the American University in Cairo, I have grown accustomed to the pervasive mindset of “inshallah,” Arabic for “God willing.” It’s a phrase used to evade fear of a future event and instead outsource worries to an almighty being. Inshallah, the security check was comprehensive enough to notice if anyone was smuggling something actually threatening and inshallah, today is not my day to die. 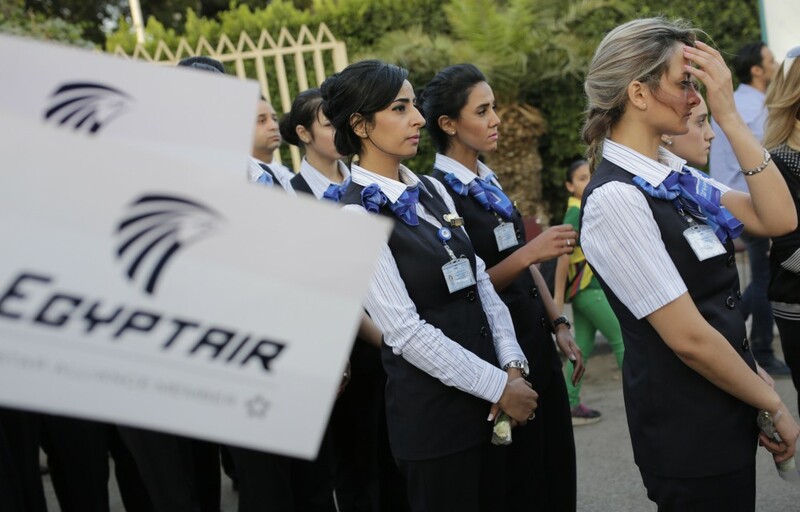 The phrase inshallah expresses the willingness of Egyptians to fly EgyptAir again, regardless of the tragic and as-yet-unexplained crash of an EgyptAir flight on its way from Paris to Cairo. Yes, this crash follows the March hijacking of the domestic EgyptAir flight 181 from Alexandria to Cairo with a forced diversion to Cyprus. (The hijacker was deemed a “love sick idiot” by the Egyptian foreign ministry, as his demands were to deliver a letter to his ex-wife located in Cyprus and to claim political asylum there). And yes, it comes after the explosion of the Metrojet flight from the Sinai Peninsula to Russia that killed 224 people (ISIS claimed to have brought the plane down with a bomb in a soda can). These aviation events—in combination with the global perception of violent conflict in the country (I actually feel safer here than I do in New York City) and last fall’s mistaken killing of Mexican tourists by Egyptian security forces—have badly damaged tourism to Egypt. But, in spite of all this, the country does not seem scared. Sad, yes. The grief is apparent here. Friends who were close to people on the EgyptAir 804 flight are in states of mourning and funerals are being held countrywide. I was in the airport three days after the incident. In the terminal and on the EgyptAir flight itself, the sorrow weighed heavily. I could see in people’s eyes a forlorn absence; some were choked up in tears. I felt a suffocating misery, especially right before landing, as it was clear we were all thinking the same fact: the crash occurred twenty minutes before arrival to Cairo Airport. Despite this sadness, I haven’t heard anyone say he or she is scared of flying EgyptAir. To the contrary, the crash has inspired nationalism. A group of Egyptian school kids who were asked at the airport whether or not they want to change their flight carrier responded with, “No! We will stick with and support EgyptAir!” #PrayForEgyptAir and #SupportEgyptAir are trending now on many of my Egyptian friends’ Facebook pages, as people simultaneously mourn the losses of lives and the future blow to Egypt’s already ailing economy, which has historically thrived off of its tourism industry. Most Egyptians are proud of their airline and aware of the demanding process one must endure to become an EgyptAir pilot. Many, me included, root for EgyptAir as we would for a home team. Last week, as I was sitting in a park outside with some friends, we counted the number of EgyptAir flights that flew over our heads and landed successfully, clapping each time the roar faded away toward the airport. We counted 10 flights over the course of a few hours. Every EgyptAir flight is a perfect microcosm of Egyptian culture, making flying an endearing and entertaining experience for all. Even when the seat belt sign is on, people get out of their seats to talk to people around them. They sit wherever they feel most comfortable, completely disregarding the assigned seat rule. Everyone always wants to chat—Egyptian’s quintessential warmth and sociability—and no one wants to follow the rules. Whenever I return from New York to Egypt, I love taking EgyptAir as it prepares me for the culture shock of Cairo, and the return to this land of flouted rules. EgyptAir is also so esteemed because it is the flagship airline in a country where few Egyptians have had the opportunity to take to the skies. Visa requirements are so restrictive that Egyptian citizens often don’t bother with foreign trips. Egyptian citizens have the option of buying a visa-on-arrival, or entering visa free to only 49 countries, meaning 75 percent of the world’s countries require Egyptians to apply for a visa months in advance (France is one of them). This arduous process of visiting the specific, in-country embassy and the numerous Egyptian government buildings to fill out the necessary paperwork is a deterrent in itself. And even if you do go through this entire process of application, you may not get the visa in time to travel. The bureaucracy is that slow. My Egyptian friend Malak was accepted to participate in a summer enrichment program in the U.S. She had her flights booked, her forms completed on time, her address where she would be staying, an updated passport—everything one would need to leave the country. Except her visa. When inquiring, she was told over and over again that her visa was “pending.” Malak received her visa four months after her dream study abroad program ended. As a citizen of the United States of America with a multi-entry work visa on my passport from the American University in Cairo, I am lucky to have the privilege to fly in and out of Egypt with ease. This past Sunday, three days after the incident, I took a work-related EgyptAir flight to Hurgada (south of Cairo, along the Red Sea). I returned safely Wednesday night. In two and a half weeks, I will be taking my final EgyptAir flight from Cairo to New York, where I will rejoin my family after two years living in this fascinating and crazy country. I am sad to be leaving; I will miss the cities, the smell of freshly baked bread on the streets in the mornings, the way the call to prayer drifts over the ancient minarets, and the friendliness and generosity of people. But I’m not afraid to be flying home on EgyptAir. [In fact, I’ve become a bit Egyptian on that subject.] After that wretched TunisAir experience, my friends asked me—and I asked myself—why didn’t I fly EgyptAir? EgyptAir’s arrivals and departures are housed in Terminal 3, a sophisticated and high-tech part of the airport, while TunisAir is in antiquated Terminal 1. The EgyptAir terminal has more thorough security screenings—I was not able to take my soccer ball on one EgyptAir flight from Sharm el Sheikh to Cairo, as it apparently posed a bomb threat. Security personnel pre-screen bags as you first enter the airport, and again when you walk through the security line. EgyptAir runs over 200 flights a day to 540 destinations. The odds of anything going wrong are long. I have always felt safe boarding an EgyptAir flight. Inshallah, the time will come when people around the world feel the same way. Chelsea Estevez works at the Research Institute for a Sustainable Environment at the American University in Cairo and has had the best two years of her life living in Cairo, Egypt. *Photo by Amr Nabil/AP Photo.